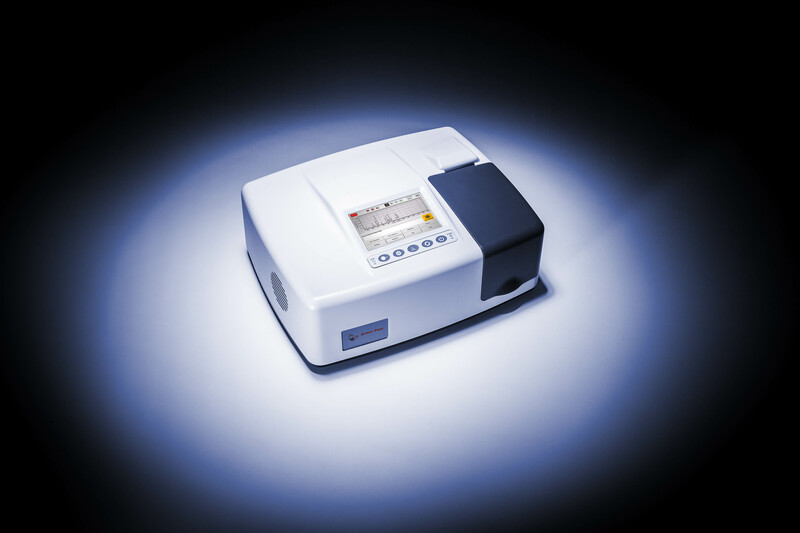 The Cora 5X00 series of portable material analyzers combines great performance with a small footprint. 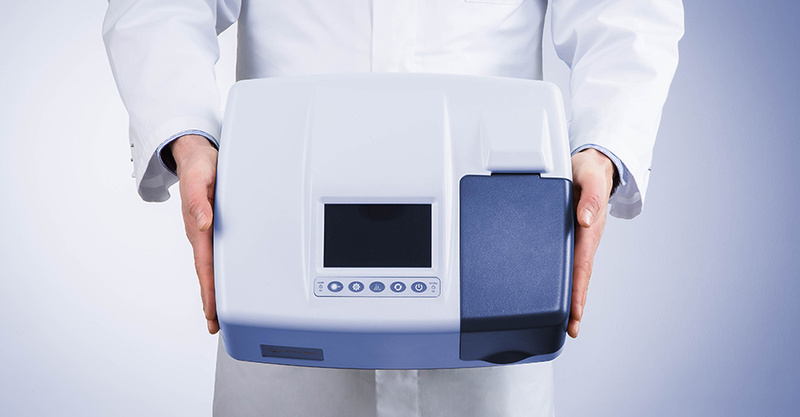 To achieve best results for different kinds of samples with a maximum Raman signal and minimum fluorescence, choose between single- or dual-wavelength instruments. Operate the portable analyzer as a stand-alone instrument using the embedded PC and touchscreen or, alternatively, via an external tablet or PC. The battery option increases mobility and allows use in the warehouse, in the field, or in the laboratory. Different samples require different excitation wavelengths to achieve the best possible Raman signal. Generally speaking: the shorter the wavelength, the stronger the Raman signal. Many colored substances or colorless organic compounds show strong fluorescence, which superimposes the signal. In this case, a lower wavelength provides a better Raman signal. 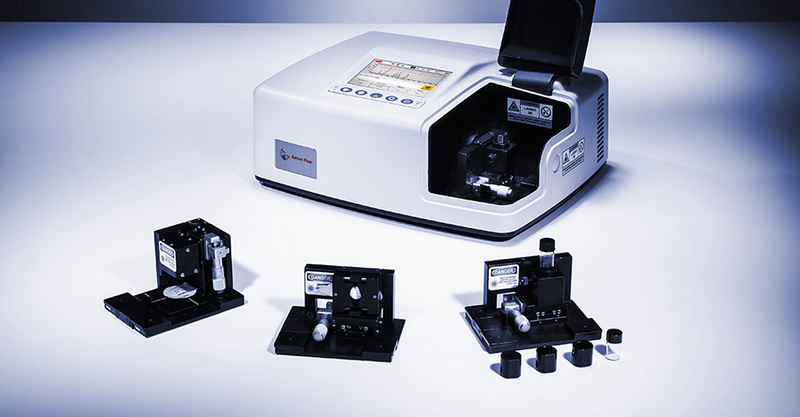 Choose the optimal wavelength for your sample with the single- or dual-band benchtop Raman spectrometers of the Cora 5X00 series which are provided with Raman lasers (532 nm, 785 nm, and 1064 nm). The Cora 5500, 5600, and 5700 models combine two wavelengths in one instrument: Switch the wavelength easily at the touch of a button. Regardless of whether the sample is solid, liquid, or powdery, the Cora 5X00 series of compact Raman spectrometers offers the appropriate sample holder for vials with various diameters and shapes (round, square, rectangular). Equipped with magnets, the holders are quickly and precisely positioned into the instrument, allowing for sample measurement possible without refocusing. You can execute Raman measurements through glass and plastic packaging: Toxic samples do not need to be taken out of their packaging, and transparent vials do not have to be opened using Raman probes. 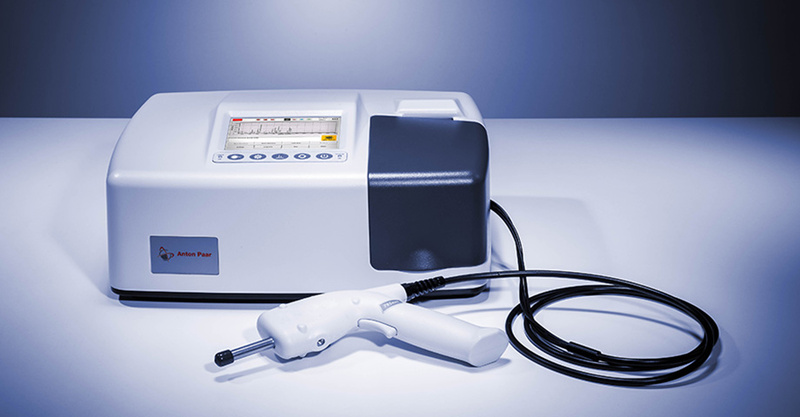 With the fiber probe of the Cora 5X00 Fiber instrument, it is also possible to measure samples in large packaging which does not fit into the instrument properly. The fiber probe gives you a 1.5 meter measurement area around the instrument. For incoming goods inspection, you can set up a ‟drive-by” station with Cora 5X00 Fiber to investigate incoming substances as they pass through, without having to extract and handle samples. The handling of the Cora 5X00 Raman spectrometers can be learned within minutes, even by inexperienced users. 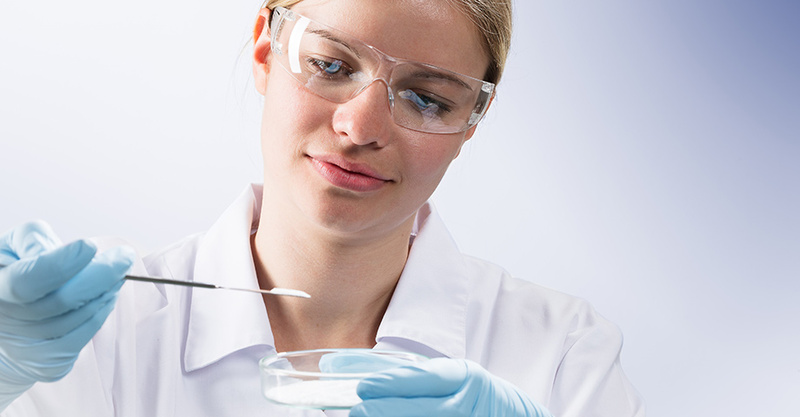 Your new employees or students are able to perform Raman spectroscopy measurements within a very short time. 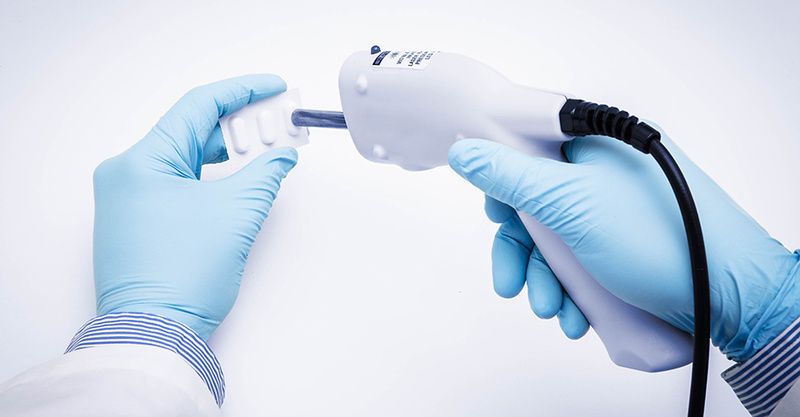 In contrast to many handheld instruments, the Cora 5X00 Raman instruments provide extra safety due to a sample chamber. The laser can only be activated if the chamber is closed. Thus, the laser does not pose a threat to people working in close vicinity to the device. The Cora 5X00 series of portable Raman spectrometers is non-sensitive to movement. The instruments have no moving parts apart from the fan. The spectrograph is shock-resistant, making it perfectly suitable for material identification and Raman measurements in the industry or in a student laboratory. 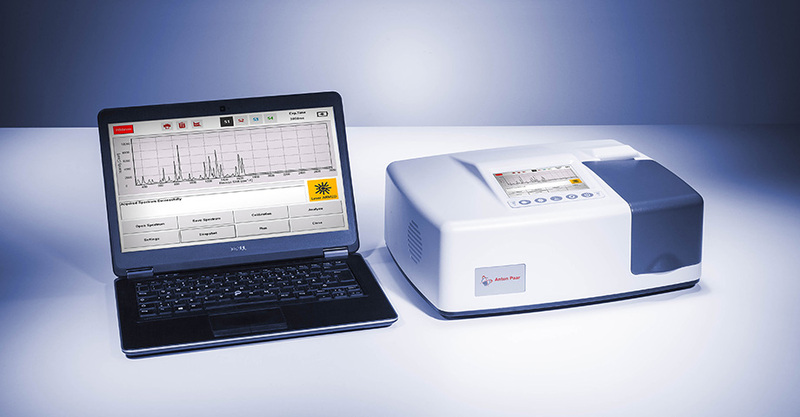 The compact Cora 5X00 Raman spectrometers can be operated as stand-alone instruments using the integrated touchscreen, or as external instruments with an optional external tablet PC that is connected via WiFi or VNC. If you prefer, you can perform accurate Raman measurements using the desktop software on an external PC and directly save data on a server, by simply connecting the PC via USB.